« Am I a massive pudding killjoy? I think it’s the nostalgia for me. Remembering my own excitement of having a few friends over, plates of sugar loaded treats, pass the parcel and a tornado of wrapping paper and snot up the walls. So, when my eldest muttered these words a few months back my heart sank. I almost cried. Were my parties really that awful? I love baking cakes! A good friend of mine quickly helped me get over my feeling of failure when she reminded me I wouldn’t have any clearing up to do if I went with my daughters suggestion of a movie and pizza party. We took advantage of Movies for Juniors price at Brighton Marina Cinema which we booked online for £1.35 a ticket and even got the 10th ticket free for a group booking. BARGAIN. 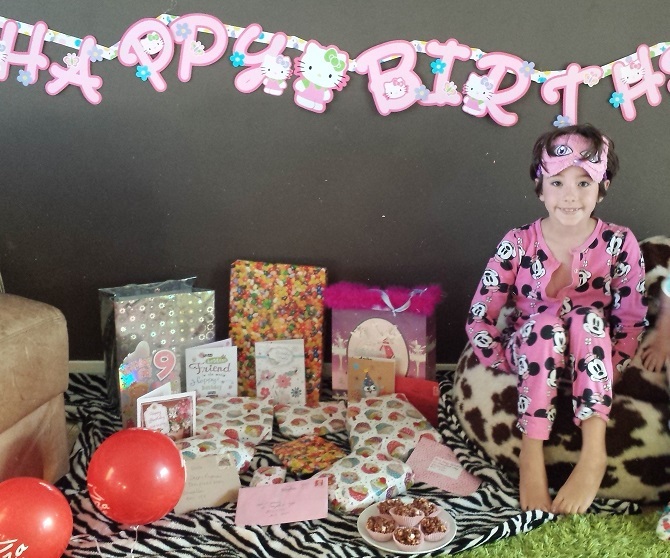 Stuffed the kids full of popcorn, sweets and drinks (sneaked in from Asda – sorry Cineworld!) and then went to the Pizza Hut Restaurant. £3.99 for a kids’ meal is brilliant. It wasn’t even about the food for our kids. It was the feeling of independence as they all helped themselves to free salad, unlimited drinks and the ice-cream factory (£1.50 extra). They all felt very grown up and had a great time. 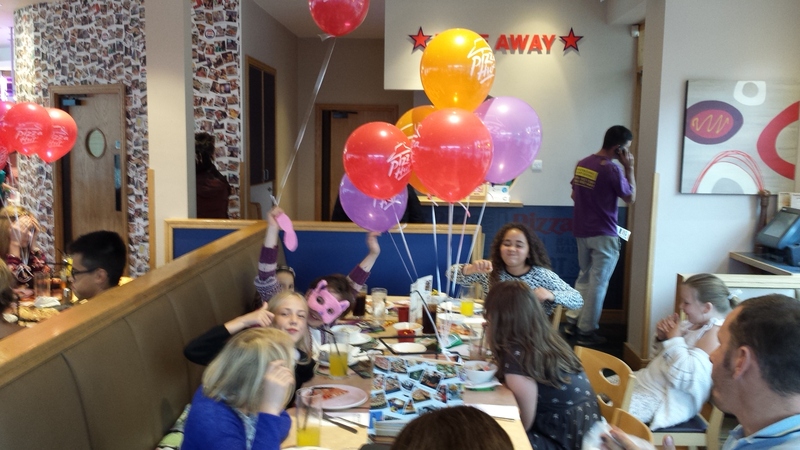 Each meal included pizza or pasta and their total bill came to less than £50! We sat back with a coffee and just watched. (Actually, my husband couldn’t resist a Teenage Mutant Ninja Turtles pizza). 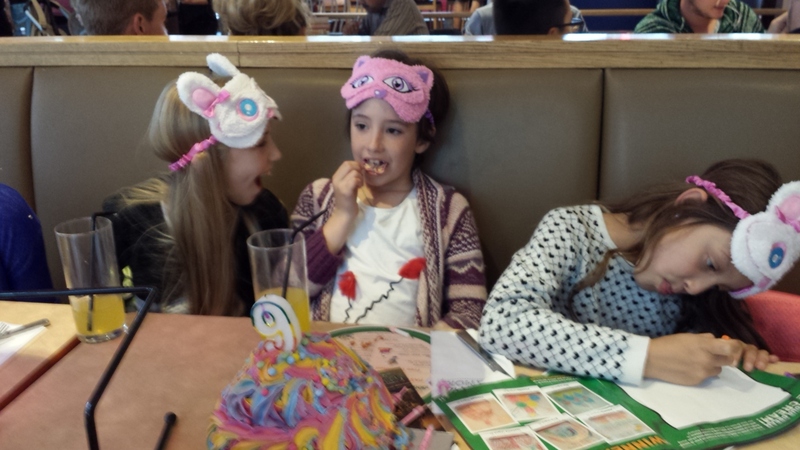 The kids all really enjoyed being silly together and the waitress was so helpful and no one complained that they were so excitable. The staff even sang happy birthday and allowed us to have our own Piniata cake. (Also courtesy of Asda as my cakes are clearly dreadful). It’s the way forward! Never again will I run around like a lunatic at home. Clearing up drink spills and picking rice crispie cakes out of rugs for weeks after. We packed the kids off home with a slice of cake and went back to our lovely calm and tidy house. EASY PEASY. To celebrate the launch of the #TMNT ninja pizzas, Pizza Hut Restaurants have offered one of my readers a £50 gift card to spend at their own local restaurant. For a chance to #WIN just click on a Rafflecopter giveaway. Ends midnight 4th November 2014. Good luck and turtle power to you! Michelangelo – thanks for the competition! I used to watch the Teenage Mutant Hero Turtles cartoon when I was younger & Michaelangelo was my favourite as he was the funniest – Cowabunga! !